The list of stellar performers for Chelsea as they exacted a colossal Premier League-double over Manchester City was extensive, and among the very best of those in royal blue was new signing Nemanja Matic in the engine room. Unsurprisingly, Chelsea’s Etihad heroics – which drew them level with Manchester City on points – has seen the Blues shrink into 9/5 to be crowned as champions, despite their humble manager’s protestations that they are not among the favourites. It was a brilliant spectacle to behold between the title-challengers and the gladiatorial contest in the middle of the park was perhaps the most intriguing element of all. Given the physical stature of City’s Yaya Toure, the tank-like Ivorian is a player seldom outmuscled in the battle for midfield supremacy. However, as Chelsea caused a seismic title shockwave by ending City’s 100 per cent home record in style, Toure was given arguably his hardest scrap yet by a man making his first ever start in the Premier League. Ironically let go by the club he has just resigned for, it already looks as if Jose Mourinho may have unleashed the Premier League’s latest ‘beast’. The English top-flight is quickly becoming a hotbed for these mythical creatures, with Sandro of Tottenham, Alvaro Negredo at City and Liverpool’s Mohamed Sakho all known by this increasingly fashionable nickname, on account of their physical prowess. At a lofty 6ft 4in, Matic certainly has the right kind of bodily dimensions to apply for membership to this burgeoning club. However, the Serbian clearly has far more qualities than size alone. He was pivotal to Mourinho’s midfield master plan and showed plenty of technical ability to match his ball-winning skills. 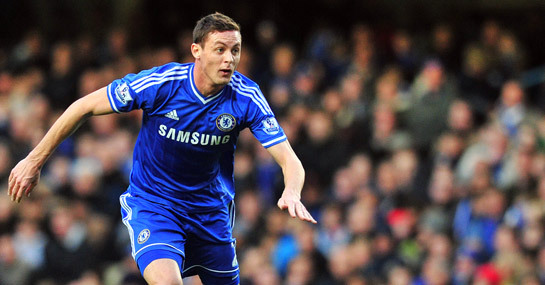 All Matic needs now is the obligatory Premier League nickname.